The Little Hide is situated on a long established Caravan and Camping site, just off the A1237 York Outer Ring Road. Willow House Caravan Park is a child free site, where grown ups can relax in the quiet of the countryside, just minutes from the historic centre of York. 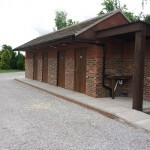 We have two toilet and shower blocks on site – the main block is by the Willow House reception, with male, female and disabled access toilets and showers, & pay to use hairdryers. 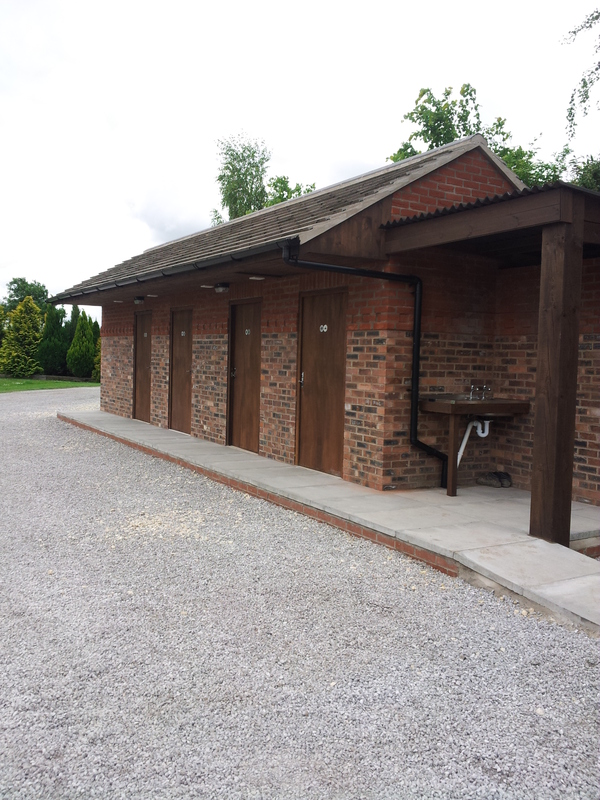 There is also a smaller block of new free to use wet-rooms and toilets, just around the corner from The Little Hide. On top of this, there is also a washer and tumble dryer over in the main block – just in case you decide to stay longer than planned! There is also Willow Farm Cafe on site, serving the finest Yorkshire produce and making the most scrumptious farmhouse breakfasts and lunches! They also do a great slice of cake with a cuppa! There are 3 large ponds on site – part of the reason children are not permitted beyond the barrier – which are ideal for an evening meander. Why not sit with a glass of something chilled and just watch the Ducks and Kingfishers go by! Just off site is a very pleasant walk along a beck into Wigginton, which goes past the Millennium Wood – there is a lovely walk through the wood, allowing you to forget you are so close to the village and the City of York! This is great for dog walks too! Did you know? York is 5th on the TripAdvisor ‘Best Foodie Cities in Europe’ List? Only beaten by Florence, Paris, Rome & Sorrento! See the Daily Mail feature here! There is a dedicated washing up area at the end of the Shower Block, and there is the Fridge Shack with fridges & freezers for your use within the pod area. There is also an Iron & Ironing board, and a microwave & toaster too. There is electric in each pod, as well as a kettle – there is a water station in the vicinity of the entrance, but you may need a water container with you if you do not want to walk to the tap for each refill. 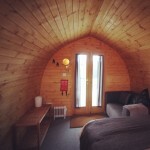 Dogs are permitted on site, and we have 4 dog friendly pods. There is an extra charge for dogs (due to the extra cleaning) and we ask that for our sake and theirs, dogs are not left unattended in the pods for any amount of time. Each ‘dog pod’ has a place to fasten their leads to, so that they can be with you while you relax outdoors! Please pick up after your dog anywhere on site. Dogs are to be kept on a lead at all times, as there are cats living on site and other livestock. We do not have WiFi or any Internet connection at The Little Hide at the present time, we think that The Little Hide should be a place of re-connection and relaxation, not devices and emails! WiFi is available in Willow Farm Cafe for customers. Each of The Little Hide’s pods have the following facilities; a nice comfy, cosy 2 seater sofa for relaxing on after a busy day out in York, a double or twin bed – with all the linen and a scrumptious feather down duvet, throw blankets and pretty coloured scatter cushions. Each pod also has a small table and bedside unit, coat hooks and a make-up mirror, as well as lighting and a double electric socket, along with a small oil heater and a kettle – this way you are not tempted to bring a camping stove inside* to make a brew! * Its very dangerous to have a gas stove or BBQ in an enclosed space – not to mention that the pods are made of wood and sheep’s wool, so are quite combustible! Please use the specified cooking areas and never take a BBQ or stove into a pod! We would hate for your time with us to end in disaster! There are two lights inside each pod, and a light in the external porch as well as lights around the onsite paths. We do think it’s a good idea to bring a lantern or torch with you though, just in case you need to nip to the loo during the night – they are close by, but it can get very dark in the Yorkshire countryside! Each pod has 2 outdoor seats and a small table. There is also an individual BBQ plate on the deck, as well as communal areas with Picnic tables for alfresco dining, with friends old and new! 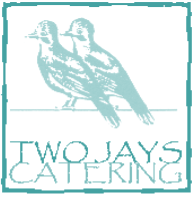 If you fancy the idea of someone cooking for you, but are enjoying your time at the pods so much you don’t want to leave, then don’t panic – Nicola from Two Jays Catering is on hand to help! From a romantic dinner for 2, to a group BBQ, a pan full of Chilli or an alfresco Sunday Lunch, it can all be provided – just contact Nicola direct and talk it through – 07884 075 231 or email her on nicola@twojayscatering.co.uk – Nicola is always happy to help and is known for he catering flexibility – she is able to work with most budgets, so ask before you dismiss the idea! See the ‘FAQ’s’ section for the items you may need to bring with you when podding at the Little Hide!